If you enjoy writing about business and entrepreneurship, your opportunities for freelance work are broad. 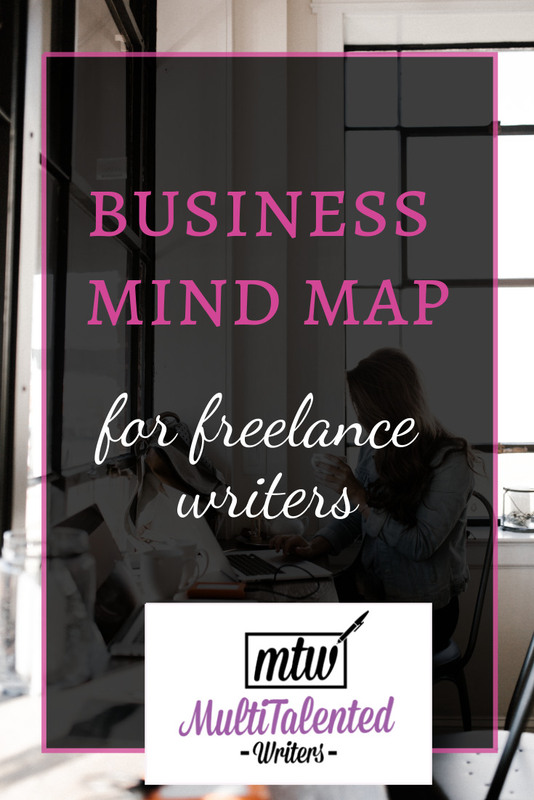 To find out just how diverse writing assignments can be, I created a business mind map for freelance writing. I’ve shared this mind map before, but in this post, I wanted to dive into exactly how I would use it to diversify my niche and flip my pitches. 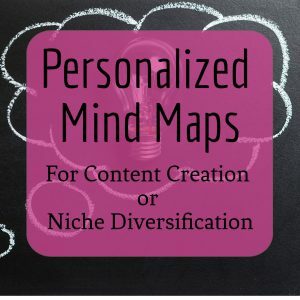 Here are only some of the ways you could use your mind maps to diversify the business niche. Consider this: Businesses need to be organized to run smoothly. Professional Organizers are experts in organization for both the home as well as the office. 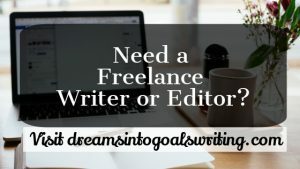 You could pitch a professional organizing company to offer copywriting, or an individual professional organizer to offer content marketing for their blog. Administration is a key aspect of any business, and to have more time to run a business well, hiring virtual assistants would be helfpul. You can pitch a virtual assistant company to offer copywriting, content marketing, or ads. Social media promotion is now unavoidable for any business, especially if those business sell items or services online. You could pitch a story to socialmediaexaminer.com or to other social media websites about transitioning from operating only out of “brick-and-mortar” buildings to doing business online—and how social media can help that transition. If you have your own business, you probably have an office. If you have an office, you need furniture. 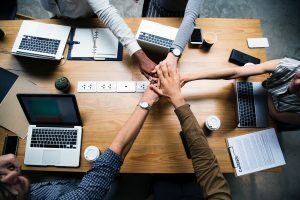 As a writer, you can use this connection to pitch manufacturers and retailers of office furniture, whether it’s to write ads, do email marketing campaigns, or write a blog. Businesses need to maintain budget and accounting records, and this task is often made easier by software. So you could pitch these kinds of companies. Some popular ones are You Need a Budget, QuickBooks, and Simply Accounting. Find the managers or CEOs at these companies, and pitch directly to them with a great letter or email. Project management skills can make a business run more smoothly. Why not pitch project management software companies? Have a look at the mind map. What other connections can you make? 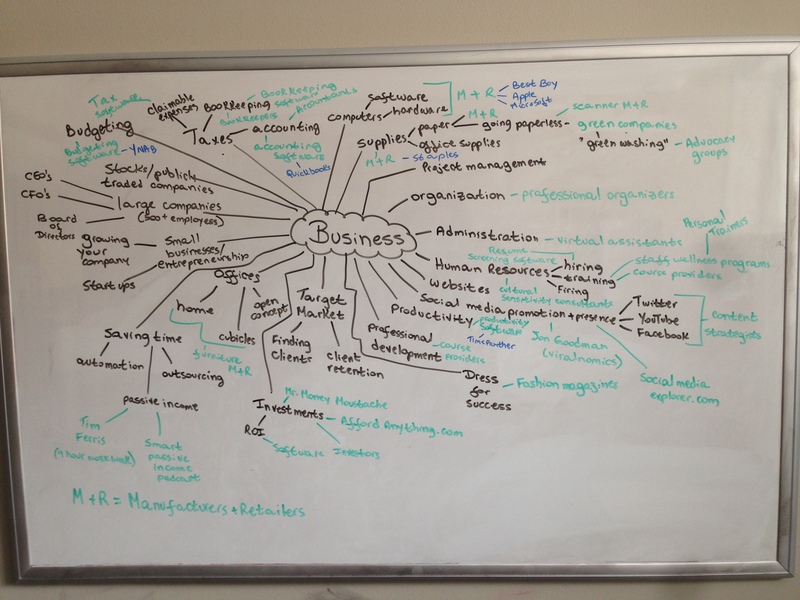 Need a mind map done up for a specific niche or content topic? Click here.